The umbrella term ‘Community Health Worker’ (CHW) embraces a variety of community health aides selected, trained and working in the communities from which they come. Generalisation about the profile of Community Health Workers internationally is difficult. While there are some broad trends, CHWs can be men or women, young or old, literate or illiterate. More important is an acknowledgement that the definition of CHWs must respond to local societal and cultural norms and customs to ensure community acceptance and ownership. Since Alma Ata, CHWs have acted as a link between the community and the health systems. Nowadays, their role in collaboration with mid-level health workers (MLHWs) is imperative in achieving the health-related Millennium Development Goals (MDGs), especially those related to HIV and AIDS, malaria, tuberculosis, maternal mortality and childhood diseases. From rural communities in Africa, to cities in Europe and North America, to the densely populated parts of Asia, CHW training programmes have been established and are evolving to meet the growing health needs of large numbers of people. 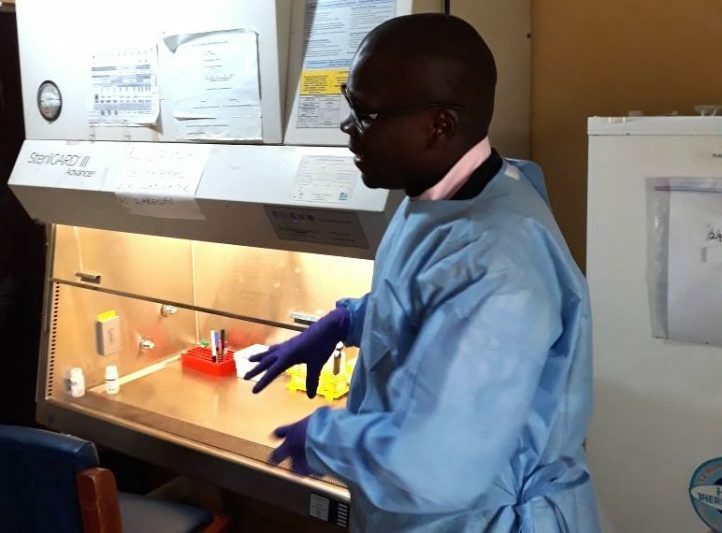 The health worker crisis, especially in sub-Saharan Africa, has triggered a renewed interest in CHWs since they have the potential to take over a number of tasks from the professional health workers, particularly in scaling up antiretroviral therapy (ART) for those infected with HIV and AIDS. The African health worker crisis is particularly acute in rural and hard-to-reach areas, in which 80% of the population lives. The use of CHWs has been identified as one strategy to address the growing shortage of health workers, particularly in low-income countries. In the specific context of Amref Health Africa, the term Community Health Worker may include community health agents, village health workers, traditional birth attendants, community drug or ITN distributors, and community health promoters. CHWs are selected by their own communities. The criteria for selection can be jointly agreed between the community and the health system and may include the ability to read and write, activeness in community affairs, particularly health-related activities, and communication skills. They should be selected by community structures, community-based organisations or faith-based organisations and should be known and respected by community members. CHWs receive basic medical training involving treating mothers and babies with malaria, helping tuberculosis patients to take their treatment correctly, and educating communities on HIV prevention, family planning, hygiene and nutrition. With this life-saving knowledge, and with basic equipment and medicine, they are able to quickly diagnose and treat people within their neighbourhoods. Training health workers who live close to people’s homes ensures that patients no longer lose vital time travelling long distances to health facilities – often hours or even days away. It also means that under-staffed health clinics are less congested with patients who can safely be treated in their homes. Community Health Workers are seen as frontrunners with the primary responsibility of mobilising communities to participate in health-related activities at the grassroots level. By design, they are supposed to work with and receive supportive supervision from mid-level health workers and the communities they serve. However, this is often not the case in many countries. Several evaluations have documented the weakness of supervision and support in national CHW programmes, which is either irregular or non-existent. Experiences with CHW programmes in different countries (Sanders et al, 2007) show that there is consensus on a number of issues. First, CHWs can make a valuable contribution to community development and, more specifically, can improve access to and coverage of communities with basic health services. CHWs are best indicated to collect useful data on vital events occurring within their neighbourhoods and thus contribute to a better community-based health management information system (CBHMIS) as observed by Amref Health Africa in Kenya (Makueni, Busia and Magadi Districts). There is robust evidence that CHWs can undertake actions (referral or behaviour change for seeking health services) that lead to improved health outcomes, especially, but not exclusively, in the field of child health. Secondly, for CHWs to be able to make an effective contribution, they must be carefully selected, appropriately trained and supervised and – very importantly – adequately and continuously supported. Large-scale CHW systems require substantial increases in support for training, management, supervision and logistics. CHWs cannot be stuck in the field and left on their own to work without supervisory and support services. Pre-service and even in-service training has to be supplemented with mentoring and supervision that help make the training stick and that help adapt it to local circumstances. CHWs need supervisors who can answer their questions and help them solve problems that usually arise during service delivery. Moreover, good supervision is essential to facilitating the psychosocial support systems that help community health workers to survive the stresses and strains that arise when providing services to desperately ill and dying people. To provide such support, supervision capacity has to be built, credited and rewarded. Third, CHW programmes are neither the panacea for weak health systems nor a cheap option to providing access to health care for under-served populations. Numerous programmes have failed in the past because of unrealistic expectations, poor planning and an under-estimation of the effort and input required to make them work. Fourth, by their very nature, CHW programmes are vulnerable unless they are driven, owned by and firmly embedded in communities themselves. Evidence suggests that CHW programmes thrive in mobilised communities, but struggle where they are given the responsibility of galvanising and mobilising communities. Whilst CHWs do not have the same abilities as trained doctors or nurses they are trained to recognize complicated cases and refer them to health facilities. CHWs provide basic health care and education in areas where there is often no access to formal health care. They are effective because they are members of the communities they serve; they and their clients have shared experiences, language, and understanding that allow for real trust to flourish. As documented by Amref Health Africa in Tanzania, CHWs can sensitise community members on the importance of pre- and post-natal care, and of having a skilled health worker to attend births. In Kilindi District, Amref Health Africa has trained CHWs to provide vital support in health care provision. The CHWs mobilise the community by organising meetings, providing door-to-door advice and through unstructured peer discussions. They raise awareness on sexual and reproductive health and rights and on HIV and AIDS. They also visit and advise pregnant mothers to attend antenatal clinics, encourage them to deliver at the health centre, and report harmful cultural practices, including female genital mutilation, to village leaders. Kenya’s experience has shown that community structures work best when linked to administrative structures as well as the health facilities’ catchment areas, and when they are in control of tangible decisions, guided by clear guidelines defining their roles. Compensation and retention of CHWs remain a challenge. The question of whether CHWs should be volunteers or receive some form of payment remains controversial. There exists virtually no evidence that volunteerism can be sustained for long periods: as a rule, CHWs are poor; they expect and require an income or some sort of incentive or motivation such as gifts, or material support to perform their jobs, such as bicycles. Amref Health Africa strongly believes that Community Health Workers are the most affordable and available category of human resources for health in Africa, and that their role is crucial for the attainment of health-related MDGs. Hence, there is need to mainstream CHWs into the health system and to reorient mid-level health workers in community-based approaches, including training of trainers to enable them to train and supervise CHWs effectively. Amref Health Africa believes that much of what a nurse or midwife now does can be done as effectively, or sometimes even more effectively, by CHWs operating in the community and providing home-based care. In order to be effective, Amref Health Africa ensures that Community Health Workers are carefully selected, appropriately trained, regularly receive refresher courses and – very importantly – are adequately supervised and continuously supported. Amref Health Africa promotes strong linkages and referral between the community and the formal health system, thus ensuring that CHWs are linked to formal health centres and hospitals. This is essential, not only to ensure quality and consistency of care, but also to avoid creating a two-tiered health system. Amref Health Africa advocates for community participation which needs to be continuously developed and supported. Working with community-based organisations enables retention of skills and ensures that communities are organised for sustainable development. Therefore, the success of CHWs will depend more on how they identify themselves with the community than with Amref Health Africa. 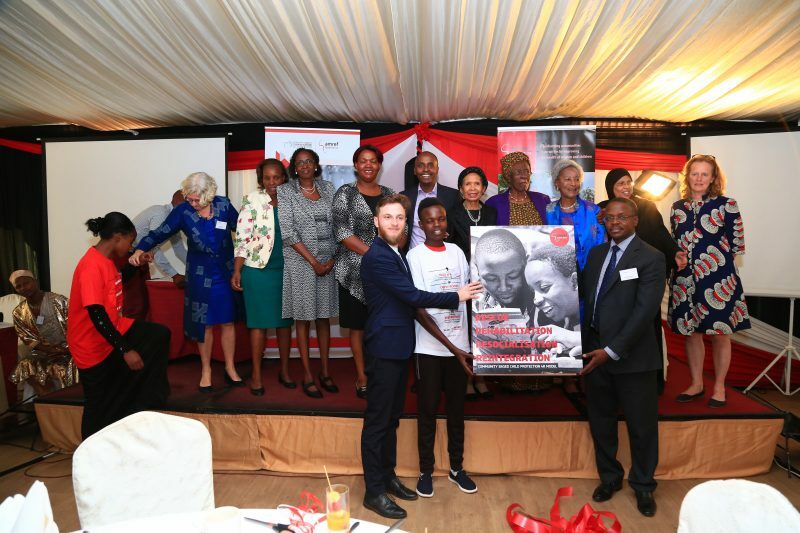 Amref Health Africa advocates for the integration of CHWs into the revised HRH strategic framework, including the development of new strategies to enable CHWs to contribute more effectively to improved health outcomes. CHWs must be expected to do a limited number of tasks that complement the work of health professionals, and should receive continuing support and supervision by mid-level health workers in health facilities. Of equal importance, Community Health Workers should be fully involved in the development of a sound community-based health information system – data collection on vital community events, record keeping and use of basic data as an early warning tool for health authorities at district level. Amref Health Africa agrees that CHWs should be compensated for their efforts. 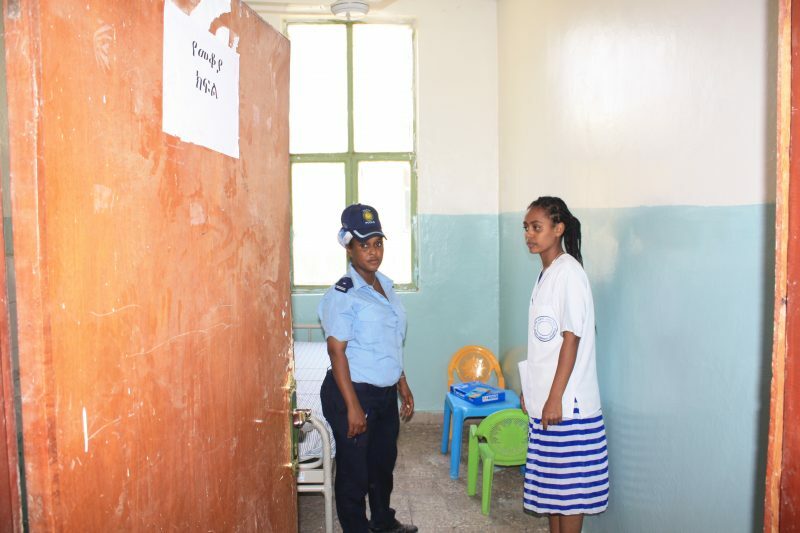 They are trained to carry out essential care, often under very difficult circumstances. Furthermore, their role in identifying patients in need of care and in ensuring adherence to treatment results in significant short- and long-term cost saving through earlier initiation of treatment and by preventing or delaying the emergence of drug-resistant disease. They should not be asked to volunteer their services in settings of great poverty; rather, their efforts should be fairly compensated. They should be part of the health system. Finally, Amref Health Africa encourages and even promotes the use of modern technology to improve access to health care. The CHW’s most important tool should be his or her phone. The mobile phone can call the ambulance, get advice from a nurse in the clinic, or access a “smart” SMS system to retrieve patient information, get advice on drug doses, or log into a database on diagnostics.